Home Technology How Stable is Facebook Inc (NASDAQ:FB) Advertising Business? How Stable is Facebook Inc (NASDAQ:FB) Advertising Business? Over the years Facebook Inc (NASDAQ:FB) has worked hard in developing an ideal platform for targeted marketing. The company has slowly developed its social networks into something for everybody and successfully attracted a large part of the global population. As per recent figures, the social network has daily visits from a total of 1 billion users and monthly visits from 1.5 billion. Added to this, the social network also provides a series of applications, which keep people engaged. Furthermore, users fear losing their network of friends and applications, if they leave. Finally, the design of the social network allows it to gain access to user information, which it can use for targeted advertising. The demand for ad-spaces on Facebook and Instagram has been on the rise and it contributes greatly to the company’s market value as well. With the rise in the number of mobile users of Facebook’s apps, the company is quickly becoming the dominant mobile advertising platform. However, with the stability of Facebook’s business staying strong, the stock is already at fair value. In its 3Q2015, the company reported a rise of 41% in revenue, on a year-over-year basis. Facebook stated that this was mainly due to a 17% increase in user growth during the quarter. Additionally, the figures for revenue per user also registered a 24% hike. Furthermore, the company is also trying to become more efficient, which is evident by the fact that FB’s operating margins declined by 12%. However, as stated earlier, the company’s mobile platform was the most significant in terms of revenue growth, reporting a rise of 71%. Additionally, this figure is expected to increase, if the company allows ad-spaces on WhatsApp. The mobile application currently has 900 million users. Facebook’s major advantage over its competitors is that it serves as a renowned platform for brands, developers and advertisers. The company’s social network is one of the fastest ways to spread news. Additionally, the social networks unique design allows it to freely gain access to user information, without any legal implications. It is the access to this very data, of such a large portion of the global population that makes Facebook’s business a stable one. However, users need not be alarmed by this situation, since the company takes precautions about keeping the data within Facebook and its business partners. Additionally, this data can also be shared over multiple partner platforms, so a user does not need to create a separate account for each one. Instead they can use a single Facebook account for a variety of purposes. Furthermore, this capability is not restricted for cross platform use only. Instead, it can be used for cross-application use on your phones and tablets as well. For example, you can see your friend’s reviews about a certain airline on Trip Advisor. This is made possible using data sharing between the Trip Advisor app and the Facebook app. Apart from just advertising products and services, the company has also added some capabilities to its social network, which allow users to directly buy those products and services through Facebook Inc (NASDAQ:FB). This would mean that Facebook would also gain access to the payment information of a larger audience. Added to this, the company is constantly improving its platform and adding new services to keep users engaged on the social network. 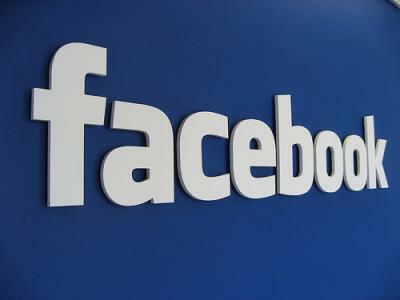 Currently, Facebook Inc (NASDAQ:FB) is going in the right direction. The company has a stable business and it continues to improve it, so as to attract more users and improve its profit margins. However, the company also runs the risk of attracting the attention of regulators, regarding the sharing of user data. Added to this, there are limited advertising spaces available on the social network and if the advertisers do not get enough viewers, the company sales might suffer a huge setback. Previous articleIs it The Time To Invest InToyota Motor Corp (ADR) (NYSE:TM)?